Poetry in the 17th to 19th century was a common language when metaphors gave beauty to communication. Literature transformed into a grandiose musical theater is a sight & sound to behold. Beauty is enchanting, lyrical verses turned into a spectacle, and love is revering. Now, witness poetry confessing in the air of upheaval. Dulaang UP, in partnership with Bit by Bit Development Company, is bringing back its blockbuster production of Francisco Baltazar’s Orosman at Zafira which opens on February 4, 2011 (Friday) at 8:00 p.m. at the SM Mall of Asia Centerstage Theater. 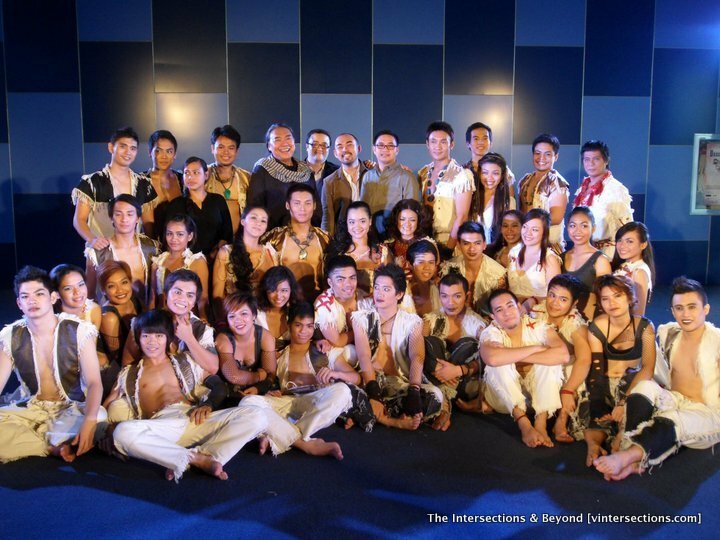 This musical runs until February 26, 2011 (Saturday). Orosman at Zafira tells the story of the struggle for power of three kingdoms: Marueccos, Tedenst, and Duquela. It is a komedya written by Francisco “Balagtas” Baltazar—a prominent Filipino poet known for his “Florante at Laura.” He is known to have elevated Philippine poetry to a high degree, and thereby considered as William Shakespeare of the Philippines. Orosman at Zafira is a modernization of Baltazar’s famous komedya, a modern remake of a tradition that made it more accessible to this generation. Not to be mistaken as comedy, a komedya is taken from the Spanish "comedia," a generic term of drama. It was brought over by Spanish colonizers as an evangelizing tool. It usually had plots about saints or warring kingdoms, and used staging conventions like structured choreographed entrances and exits. The story of Orosman at Zafira begins with Zelima, daughter of Ben-Asar, right vizier of Boulasem, the pacha of the Kingdom of Tedenst. She sings about Mahamud, sultan of the entire realm and pacha of the Kingdom of Marruecos, and his call for a feast. 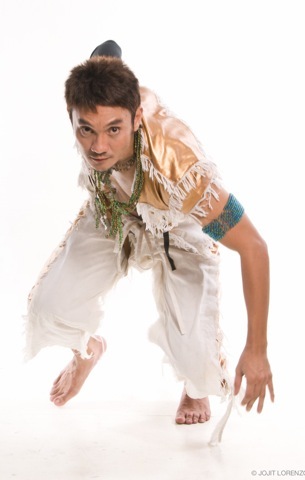 All the pachas of the realm have been invited, including Boulasem and Zelim, the pacha of the Kingdom of Duquela. Boulasem suspects that Mahamud secretly plans to kill all the pachas to gain absolute power. His paranoia leads him to order the murder of Mahamud during the feast—this results in a cycle of war, murder and treachery. Gulnara, courtesan of Mahamud, and Zafira, orphaned daughter of the Sultan, begin the first war. Lust for power causes the war to drag on. Boulasem’s son, Abdalap, murders his own father to inherit the throne. He also threatens to put his brother Orosman to death so that he will be free to marry Orosman’s lover Zafira. Lives are sacrificed because of greed for power. 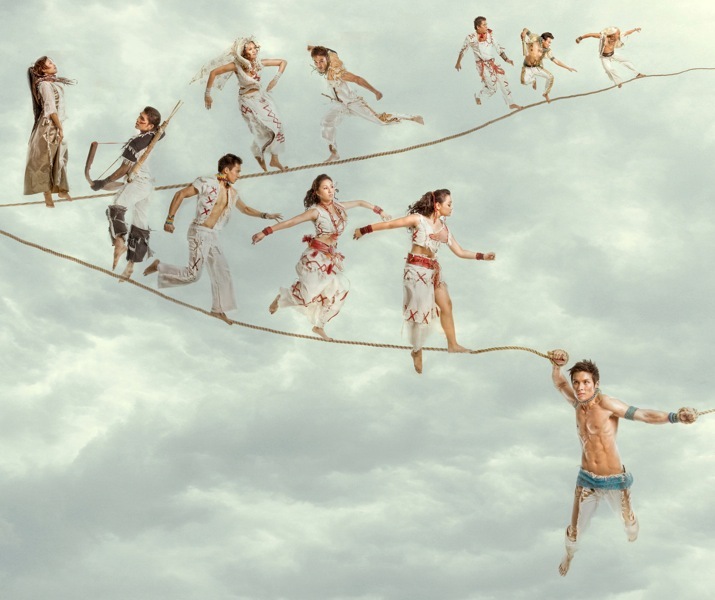 I have never seen the past 2 runs of Orosman at Zafira in 2008 & 2010 and I'm very excited to see its 3rd run this February 2011. Seeing the teaser for the first time, I was flabbergasted at the intensity and beauty of the musical play. It's like watching 300 or Troy or Helen of Troy in a musical play, Philippine setting. The cast performed powerful songs and dances during the press conference held at the IMAX Theater Lobby, second level at SM Mall of Asia on January 5, 2010. Their performance has an intensity and splendor to the highest level! 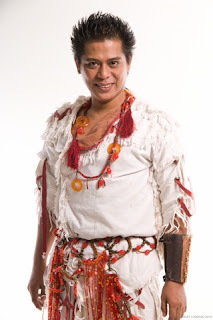 Directed and choreographed by Dexter M. Santos, with original music by Carol Bello, Orosman at Zafira garnered nominations for both Best Musical Production and Best Stage Director at the 21st ALIW Awards. Orosman at Zafira premiered in February 2008 and was re-staged last August 2010 to sold-out, standing-room-only performances at the Wilfrido Ma. Guerrero Theater, UP Diliman. Due to insistent public demand, through a partnership with Bit by Bit Development Company under the management team of lawyer Darwin Mariano and magazine editor Carlo Francia, this original Filipino musical will have 15 performances at SM Mall of Asia Centerstage Theater. Thanks to Joriben Zaballa for the 2 photos below. 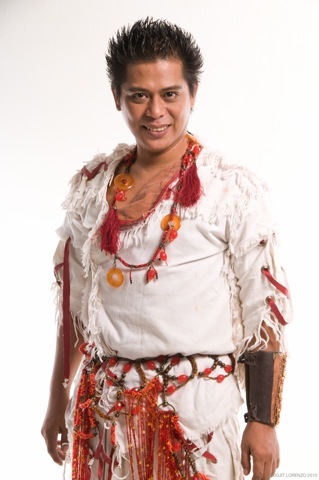 The new production of Orosman at Zafira features Jay Gonzaga (Orosman), Maita Ponce (Zafira), Delphine Buencamino (Zafira), Tao Aves (Zelima), Roeder Camañag (Abdalap), Red Concepcion (Aldervesin), Kevin Concepcion (Zelim), Acey Aguilar (Zelim), Jacinta Remulla (Gulnara), Jean Judith Javier (Gulnara), Nazer Salcedo (Boulasem), Neil Tolentino (Mahamud), Felipe Ronnie Martinez (Ben-Asar), and the Dulaang UP Ensemble. 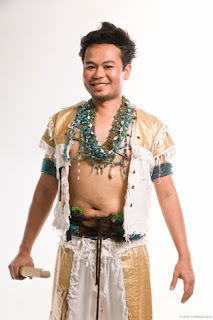 The artistic team of Orosman at Zafira includes Tuxqs Rutaquio (Production Designer), John Ilao Batalla (Lighting Designer), Anril Tiatco, Katte Sabate, and Patrick Valera (Dramaturgs), Mara Marasigan (Assistant Director), Via Antonio (Associate Choreographer), Irish Pangilinan (Associate Musical Director), and Lao Rodriguez (Accessories Designer). The production team is composed of Atty. Darwin Mariano (Executive Producer), Carlo Francia (Associate Producer), Toots O. Tolentino (PR/Publicity Consultant), Ida Elopre (Production Manager), Ohm David (Technical Director), Loraine Macatangay (Stage Manager), Cherry Bong Edralin (Marketing Manager), and Jojit Lorenzo (Photography). Venue: SM Mall of Asia Centerstage Theater. Orosman at Zafira tickets are now available at all SM Cinema Ticket Booths nationwide and all TicketWorld outlets in major National Bookstore branches, Robinsons Department Stores, and at Greenbelt 1, Glorietta 5 and Trinoma Cinema ticket booths. Call SM Tickets at (632) 470.2222 or TicketWorld at (632) 891.9999. As a special treat to all students, here’s your chance to watch OROSMAN AT ZAFIRA at a discounted rate of P350.00 per ticket. This is applicable on all matinee performances (3:00 pm shows) on the following dates only: February 5, 6, 12, 13, 19, 20, and 26. O ang silaw ng iyong liwanag? 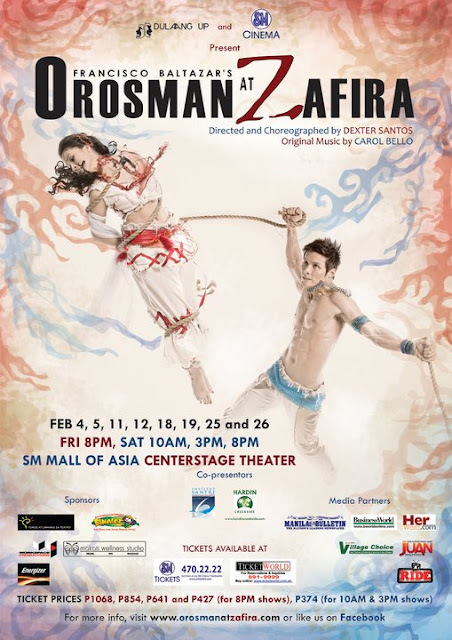 For more information, call or text +63949.434.5239 / +63917.842.7346 or +63922.842.7346 or log on to www.orosmanatzafira.com or like the official OROSMAN AT ZAFIRA Facebook Fan Page.